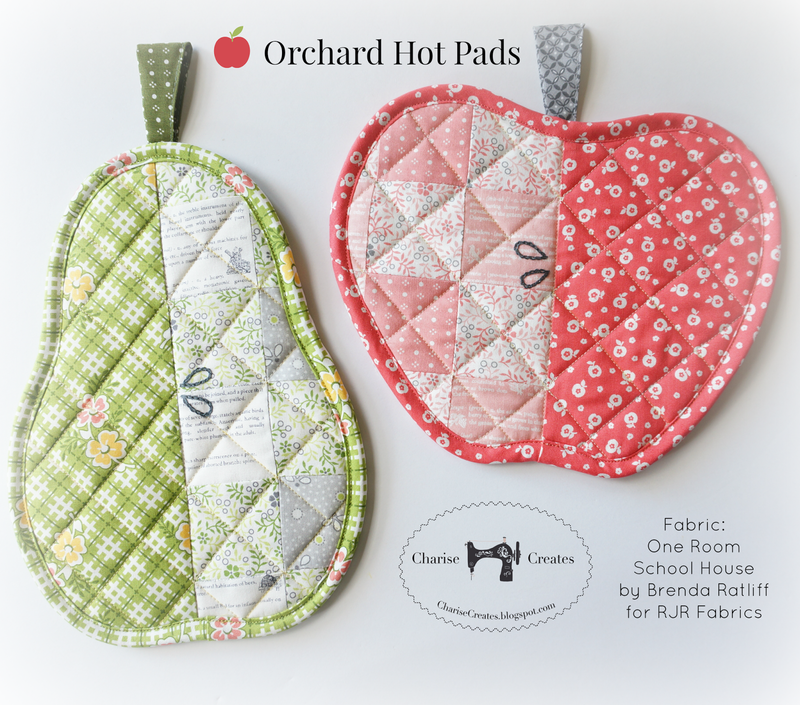 Charise Creates: Orchard Hot Pads in "One Room Schoolhouse"
I absolutely love vintage inspired fabrics so I was so thrilled to get a stack of prints from the soon to be available line by Brenda Ratliff, "One Room Schoolhouse" designed for RJR Fabrics. The palette is fresh with a vintage vibe. The prints are gorgeous. 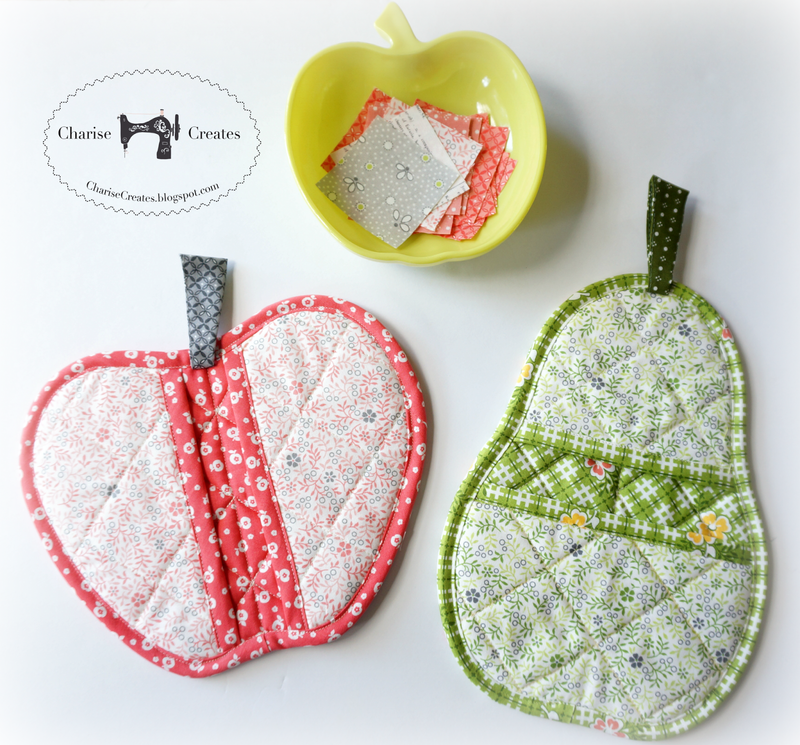 My favorite is the sweet apple print. I think I might have to make a skirt in this print - so cute!!! I stitched up my orchard hot pads and I think they look wonderful in this fabric! 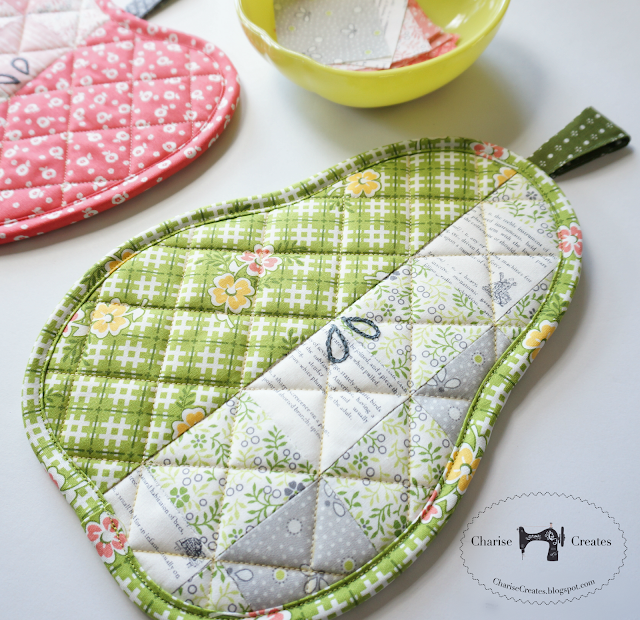 These are so pretty with this delicious fabric. 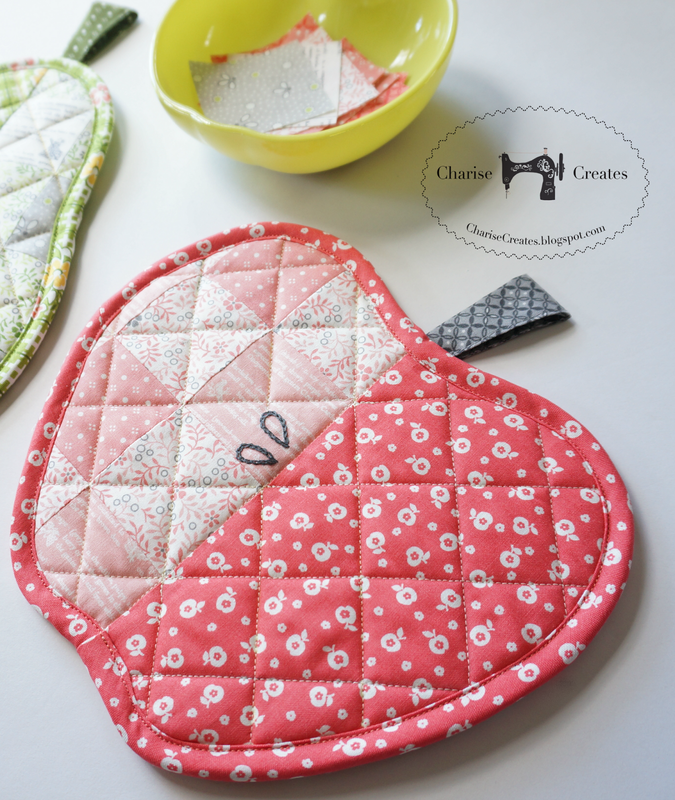 Your hot pad designs are really special!